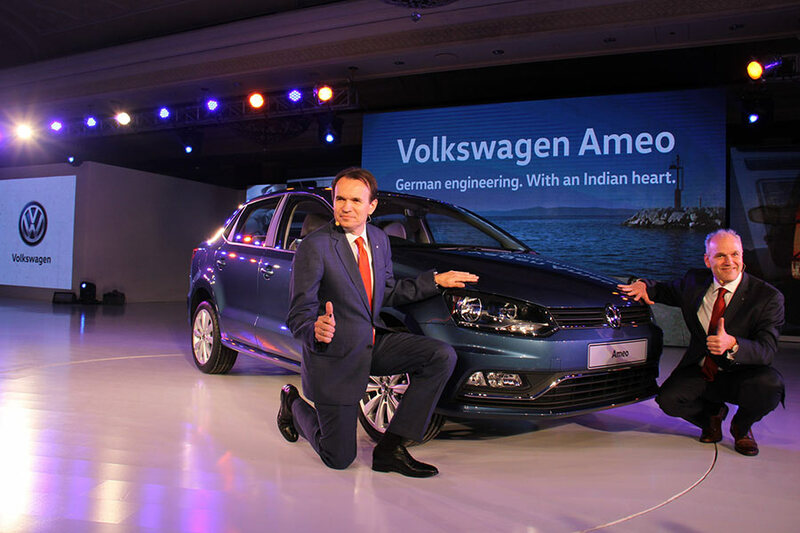 Volkswagen is introducing a new compact sedan to its portfolio – Ameo. 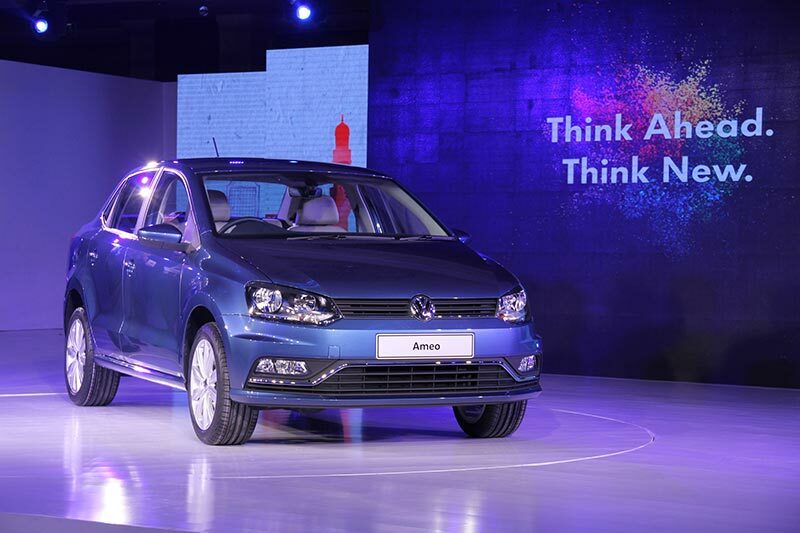 Volkswagen first revealed the Ameo at Auto Expo 2016 and they have also started the Ad campaign last month. The Ameo is based on Polo sedan and it is going to be the first mass market model since the introduction of Volkswagen Vento in the year 2010. Volkswagen Ameo is going to play a critical role in boosting the sales for the company, which is currently 22% down in the last two years. With the competition around Volkswagen is very much required to price its Ameo model pretty competitively. Generally, Volkswagen cars are priced slightly towards the premium end compared to its competitors. In the case of Ameo, the price of the car is expected to be lot lesser than what you expect – the starting price of the car is expected to be INR 5.4 lakh (ex-showroom, Delhi). The new Volkswagen Ameo would take on its key competitors like Tata Zest, Maruti Dzire, Honda Amaze and Hyundai Xcent, whose price range is in between INR 5.32 lakhs to 5.36 lakhs. We are only talking about the price of the base model of the car here and the pricing for the higher trims of Ameo shall vary accordingly and could even be slightly higher than the competition. When it comes to equipments, What Ameo promises is the first-in-class features like cruise control, rain-sensing wipers, static cornering lights as well as the touchscreen with MirrorLink which is capable of mirroring one’s phone screen. The top trims of Ameo would also be getting automatic climate control, a rear AC vent, rear parking camera, electronically adjustable rear-view mirrors and a cooled glovebox, the features which you can expect commonly in any car. For the very first, Volkswagen Ameo is the car which is developed exclusively for the Indian market which shows it in the code name – ICS – Indian Compact Sedan. Initially the Ameo is going to be launched only as a petrol version which is powered by 74bhp, 1.2-litre, 3-cylinder engine which is present in the Polo. Volkswagen will be launching the diesel version of Ameo at the end of this year (2016) and it will be getting with an updated version of its 1.5-litre TDI engine and will be capable of churning out a power of 112bhp. The Ameo would be also getting the features like high-tech 7-speed dual-clutch gearbox with this oil-burning engine, which which has its own advantages than the diesel automatics in the class – the Tata Zest and Maruti Dzire –uses a pretty basic AMT gearbox. So technologically speaking – The Ameo is going to be pretty advanced. Volkswagen is changing the scenario in India with a new pricing strategy. Volkswagen, the brand which was known for its premium pricing is slashing the prices and is trying to project itself as an affordable brand. To fuel this, Volkswagen has started a contest called ‘Guess the Price’ where people can submit their prediction on Volkswagen Ameo’s price. All excited about the new Volkswagen Ameo? Let us know by commenting below.